Just a quick thought for you crafting mamas…. Or those of you with kids who bring home crafts from school or camp. Ha! So true! 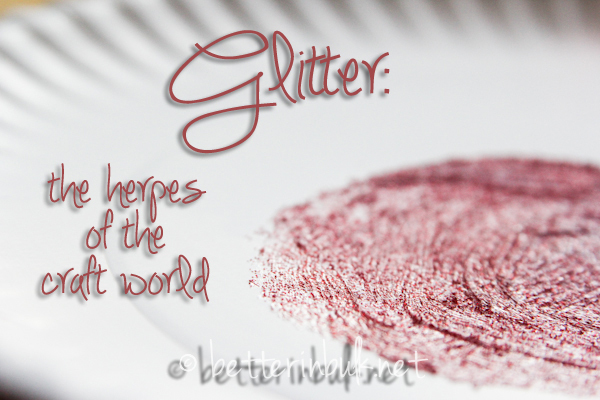 I cringe each time I see a craft made in glitter.